Photo courtesy of Austin Motel. If money were no object, booking travel would be a cinch. 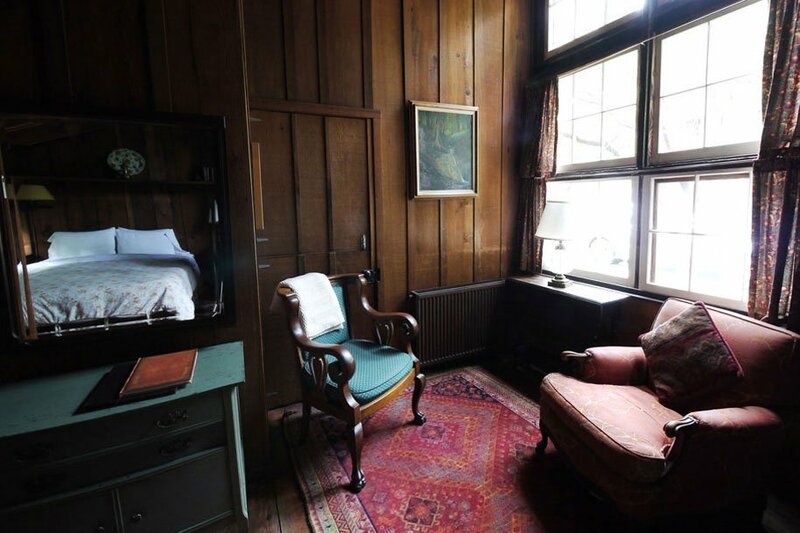 But when time and money are in limited supply — and good taste and high style still matter — searching for an affordable (or even cheap) hotel that's also a pleasure stay in can feel a little like looking for a needle in a musty old haystack. 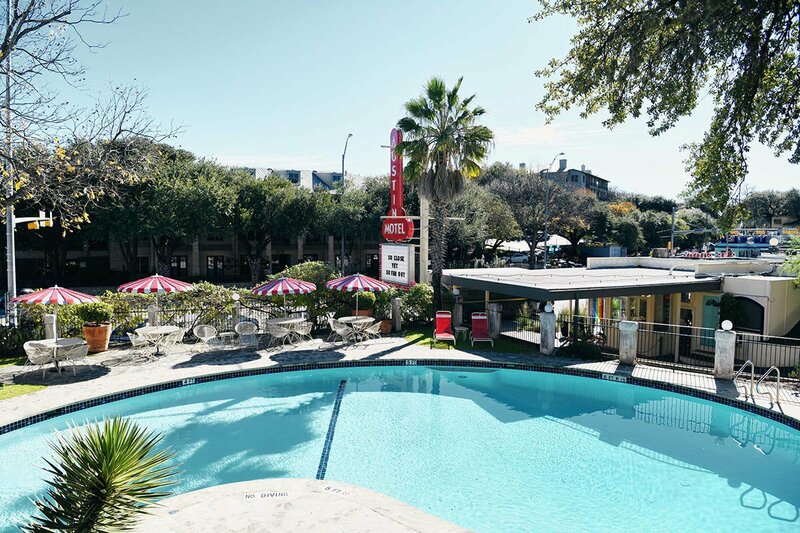 Do cool, quirky, clever, and charming budget hotels even exist in America? For this month's installment of the Fathom Travel Awards, we found and are celebrating budget hotels punching well above their weight. 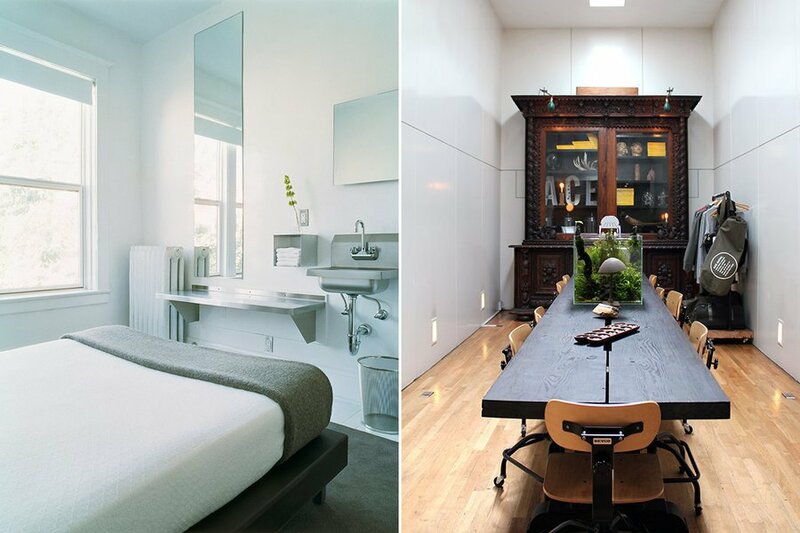 As always our hotel standards are unwavering: We care about size, sensibility, design, amenities, location, and price. All the hotels mentioned on this list have rooms going for $150 or less per night somewhere on the internet as of this publication date. Go ahead and splurge on saving. Never miss a beat. For more insider knowledge on the world's best places, sign up for the Fathom newsletter. 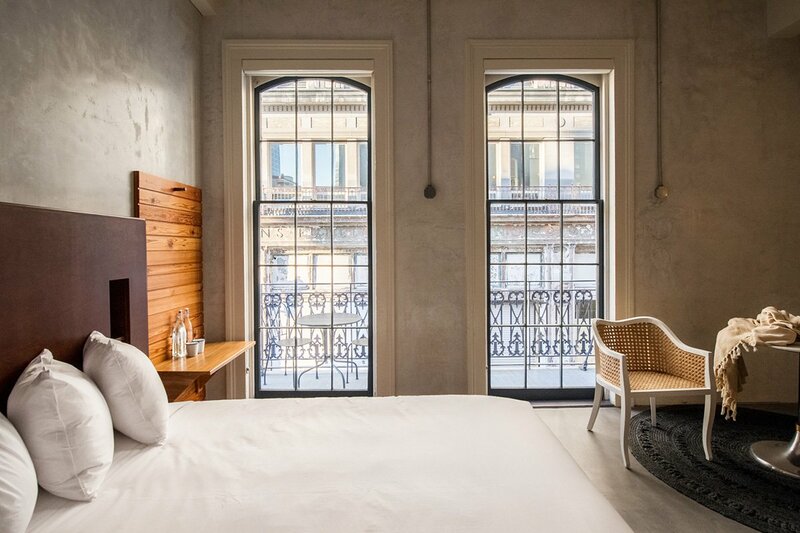 What we love: Designed to reflect the city's history and culture, the handsome boutique hotel is filled with locally made furniture and found objects from Europe. Pick up a mic and get down with your favorite tunes in a private room at The Boombox, Providence's first and only karaoke lounge. 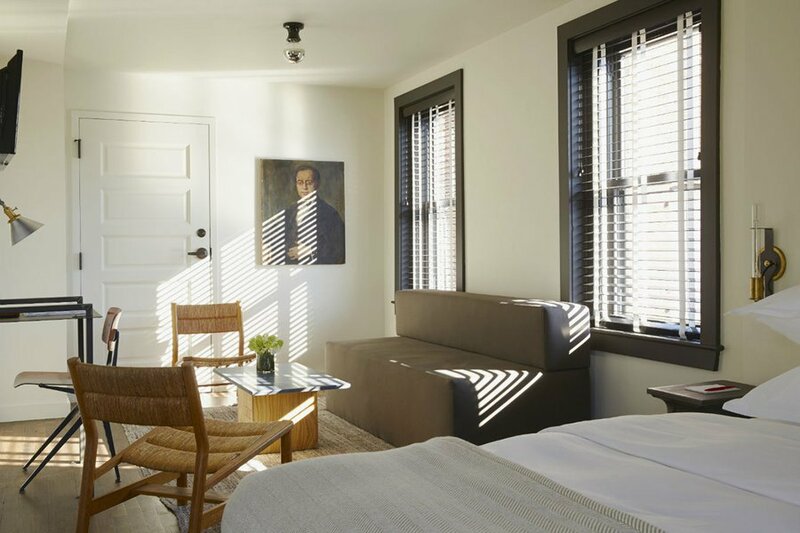 What we love: Built into an old inn for maritime workers, the original hipster hotel is steps from Pike Place Market in the historic waterfront district of Belltown. Minimalist design, reclaimed hardwood flooring, green touches, and artwork by graffiti giant Shepard Fairey give it that cool Pacific Northwest vibe. What we love: The 35-room restored Creole townhouse is a modern escape with a touch of OG patina. Rooms are simple but sleek, with white linens, modern wood furniture, and a few intricate details (hand-woven rattan chairs, soothing rainfall shower heads). The cafe and bar serve a Peruvian-inspired menu, including Pisco cocktails and a South American-inspired po' boy. 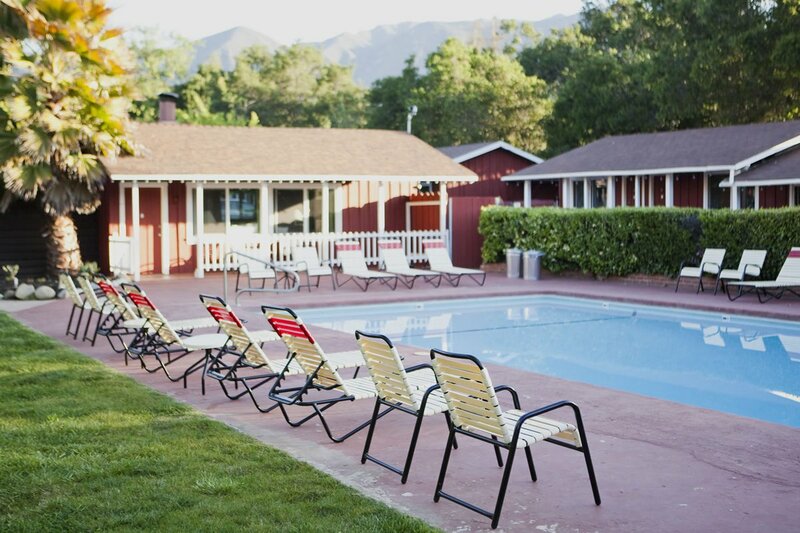 What we love: A simple, quirky little motel with everything you need for a great weekend away from Los Angeles — complimentary bikes, a cool swimming pool, a great bar scene, and a Cali-appropriate front desk (see: palo alto sticks and cacti mantle). 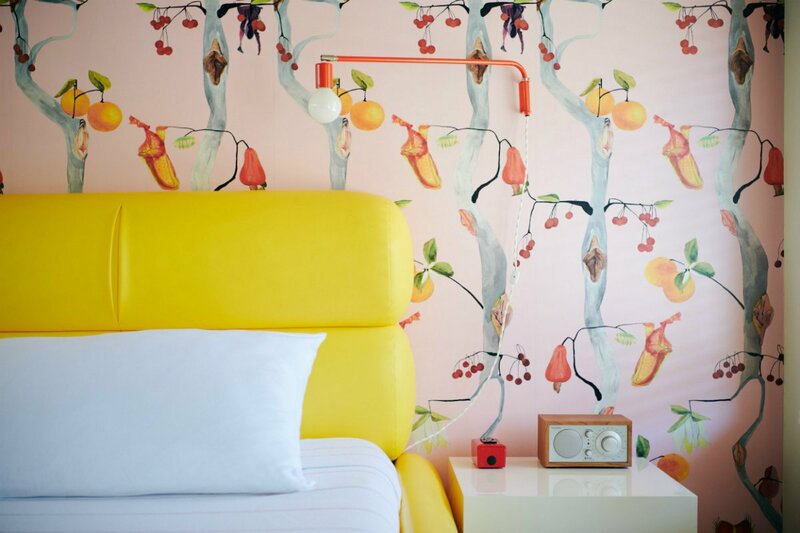 What we love: The motel's motto says it all: “So close, yet so far out.” Vibrant colors and attention-grabbing wallpaper adorn all 41 guest rooms in a style as unapologetically playful as it is effortlessly cool, while the kidney-shaped pool in the center of the property and surrounding lido deck are Instagram heaven. The original 1930s sign at the entrance, still standing, is the inspiration behind the vintage aesthetic. 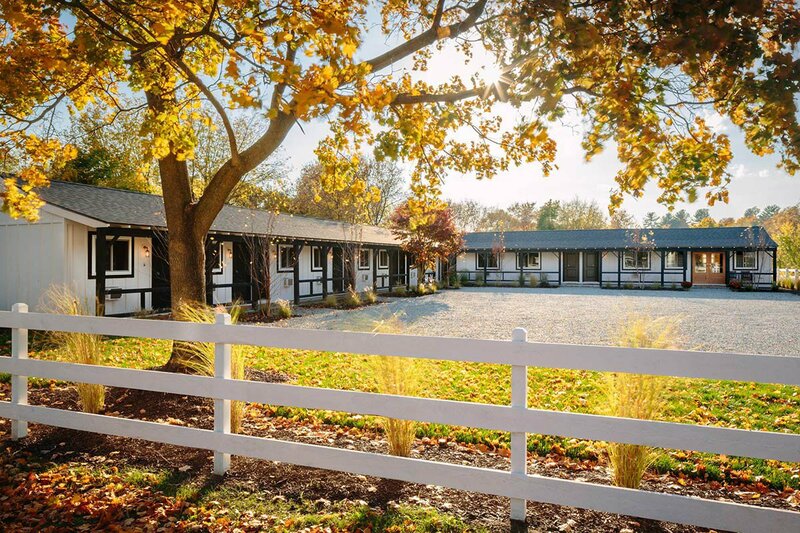 What we love: A charming, carefully curated, twelve-key boutique located on the cusp of Saratoga's historic race course, where days are just as easily spent listening to vinyl at the small lobby bar as they are watching horses gallop by from the comfort of an elegant, sunny, family-friendly guest room window. Photo courtesy of Mama Shelter LA. 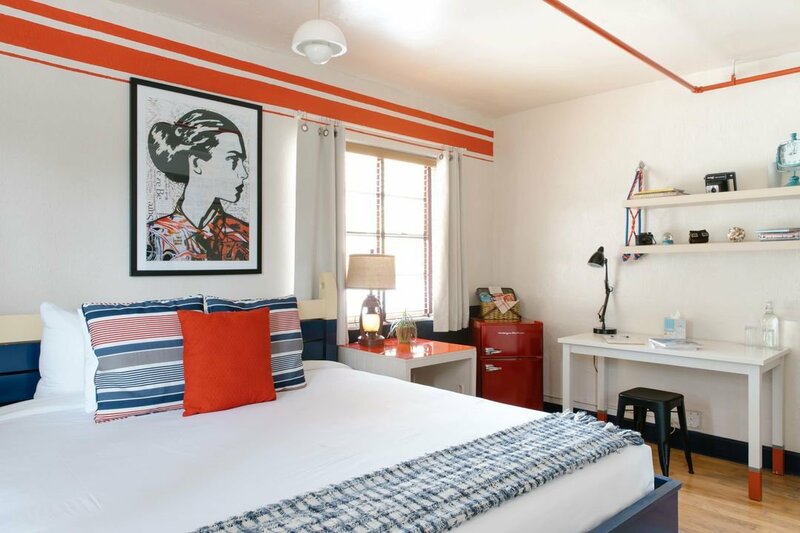 What we love: The cute and contemporary 70-room hotel on Hollywood Boulevard screams fun to the max. Perks include video booths, iMacs, free Wi-Fi, free movies, events, and quirky in-room items, which you'll have to see for yourself. 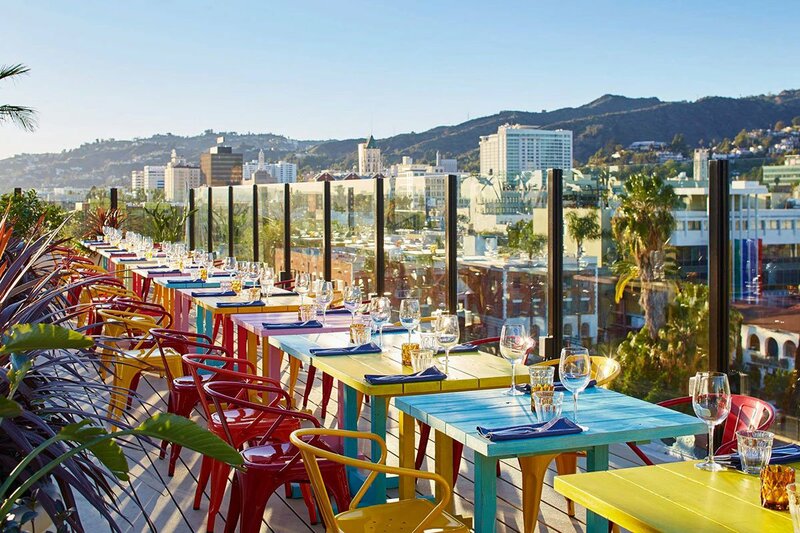 The trendy rooftop is a real stunner, with 360-degree views of the city, from the Hollywood sign to Downtown and the Westside. We give extra props to Mama Shelter for its many outposts around the world, especially the one in Rio. Photo courtesy of The Robey. 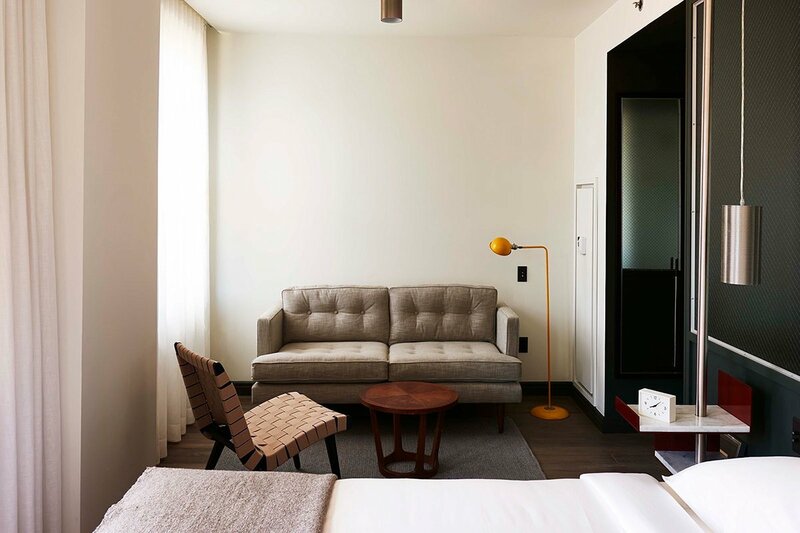 What we love: Continuing Grupo Habita's tradition of repurposing old structures in clever, contemporary ways, the hotel’s Art Deco designs are fused with mid-century modern furniture in a sleek, minimalist palette of lights and darks, resulting in a self-professed "confident mix of Americana." Two on-site watering holes and a triangular rooftop pool round out the offerings on the border of Wicker Park and Bucktown. Read more about it on Fathom. What we love: The OG Freehand still remains a favorite. The breezy Deco building a block from the beach is outfitted with a fun and fashionable crowd drinking specialty cocktails by the pool. Both a hotel and a hostel, guests can choose between private rooms with en-suite bathrooms or shared rooms with hotel-grade mattresses. The scene at The Broken Shaker and lunch at 27 are reasons enough for a visit. What we love: It's incredibly cozy — rustic cabins draped in wisteria and rose bushes and equipped with fireplaces and wood stoves. The beds are soft and comfy, and the food is to die for. It's not, they readily admit, for those who are noise-sensitive, but when you spend the dawn hours in bed while a fire burns in the wood stove, this is a not-unpleasant, easily forgivable occurrence. 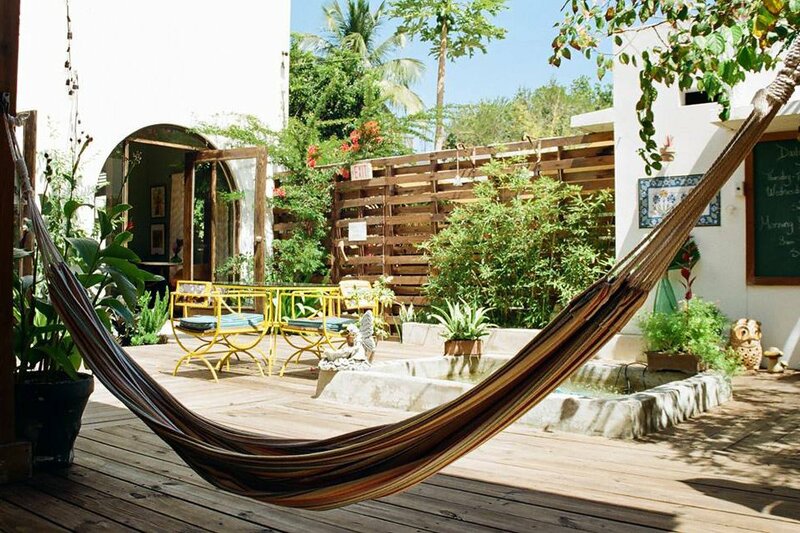 What we love: The capital’s only vegetarian bed and breakfast delights with twelve boho-chic rooms, each naturally equipped with a dreamcatcher, just steps from the beach in the residential Ocean Park area. Morning yoga, a luscious breakfast and brunch, tarot card readings, and adventure tours ensure you’re blissed out from the moment you arrive. What we love: What it lacks in space, it makes up for with good design and thoughtful details. 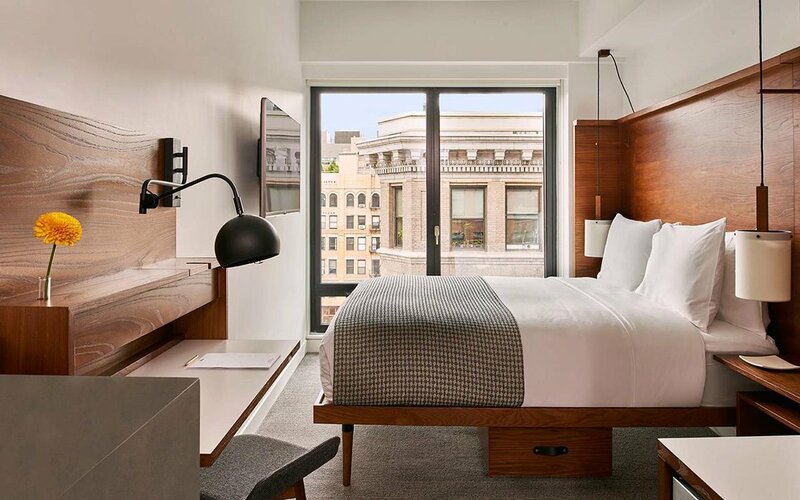 Thanks to superior furnishings, smart technology, and inclusive public spaces, the AvroKO-designed micro hotel feels like a game changer in the inexpensive (for NYC) category. Read more about it on Fathom. Photo courtesy of El Cosmico. 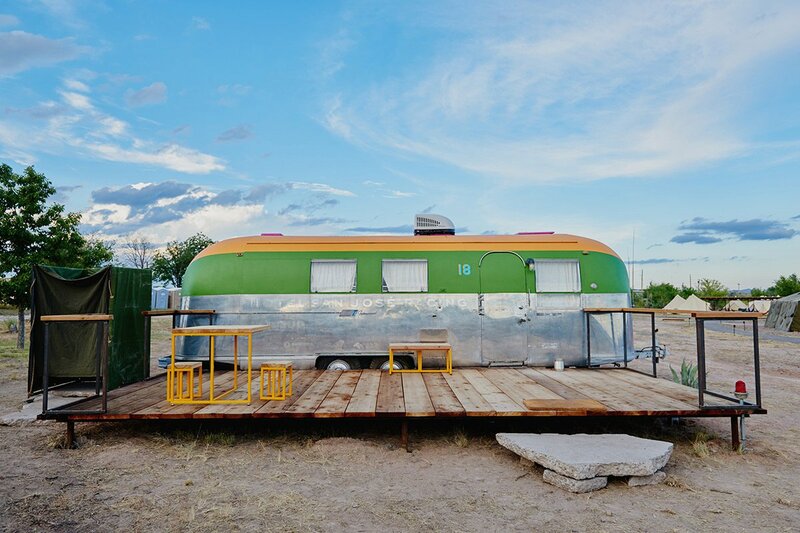 What we love: Charm abounds at this bohemian West Texas trailer park from hotelier Liz Lambert, which draws overworked vagabonds time and time again for a much-needed reset. There are no TVs, telephones, or internet access, except in the lounge. Daytime activities revolve around workshops and arts projects, while talking to friends new and old under star-filled skies fills the night. Accommodations consist of teepees, safari tents, seasonal yurts, and campsites. But the real attraction? Seven beautifully restored 1950s-era mobile home trailers. Read more about it in this love letter on Fathom.